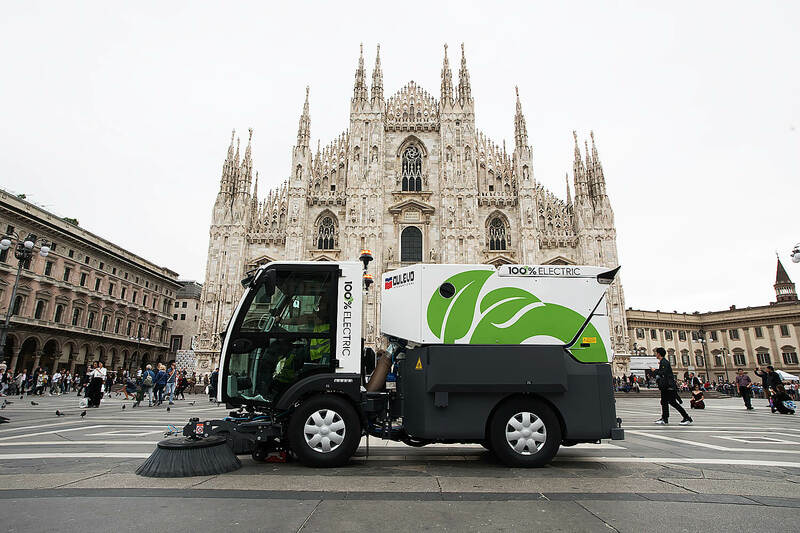 Dulevo D.zero² means zero emissions of CO2, zero harmful gases, and zero dust re-introduced into the environment. 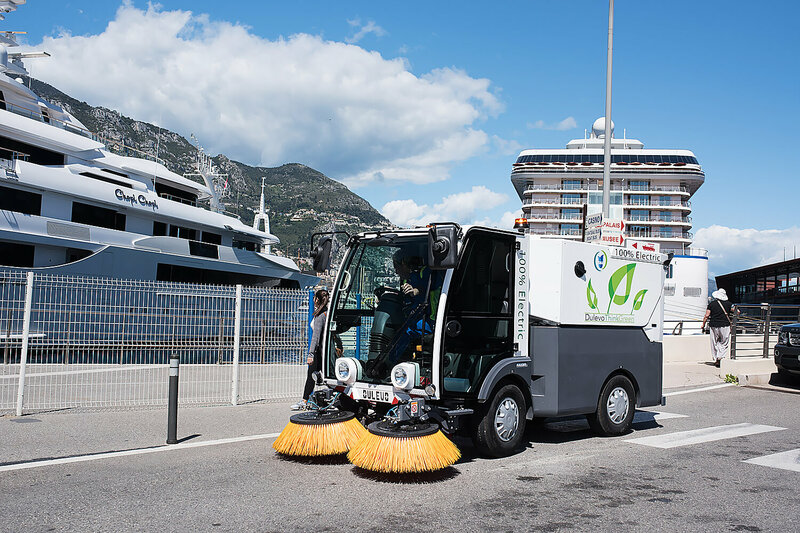 And what’s more: its electric motor means a drastic reduction in noise emissions, enabling operators to work at night without disturbing the peace. 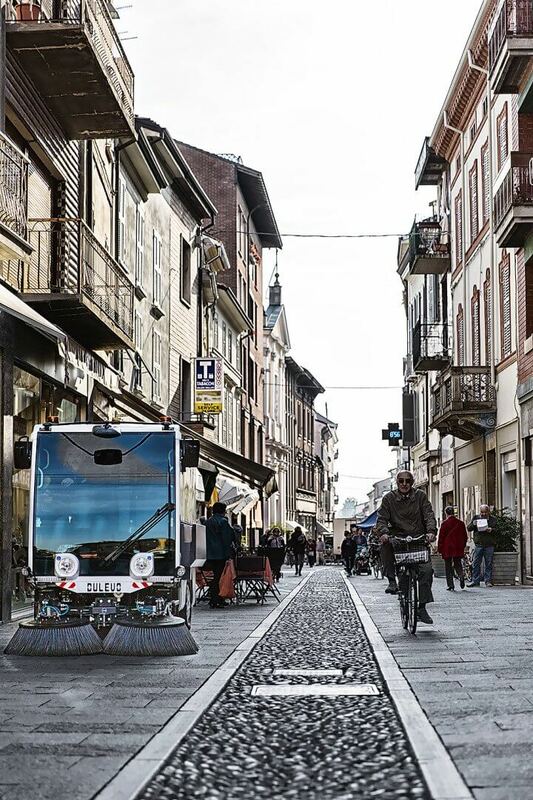 Thanks to the center joint and two semi-frames, the Dulevo D.zero² makes even complex movement a simple matter. 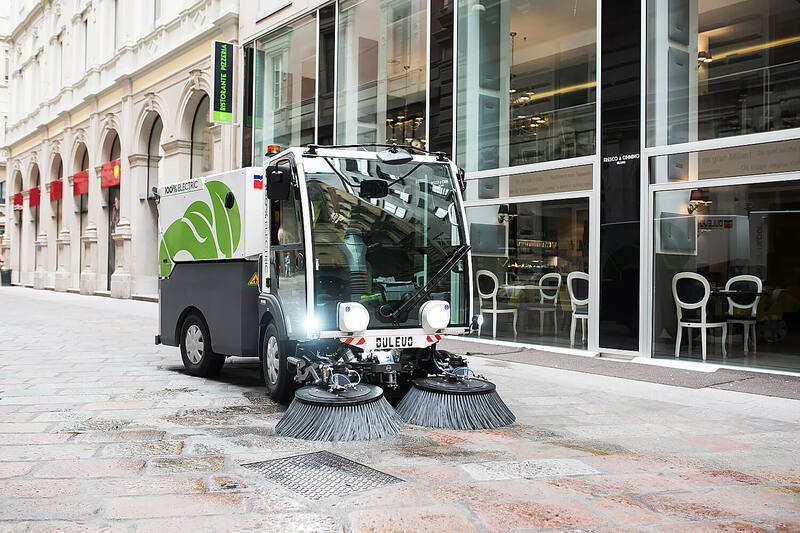 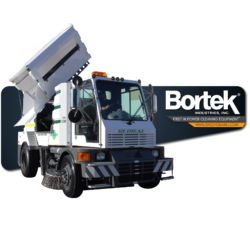 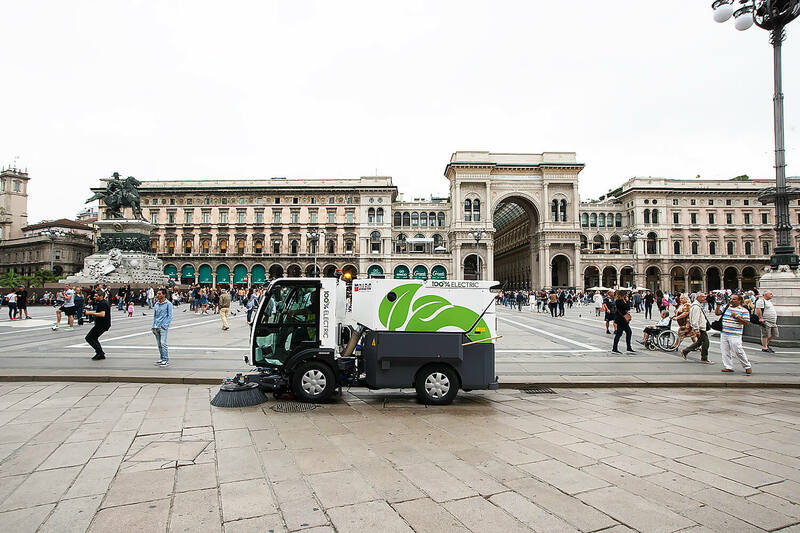 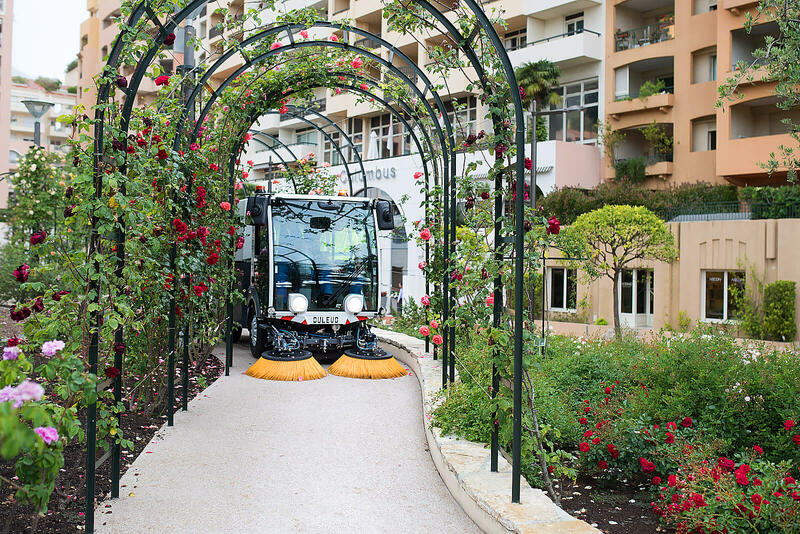 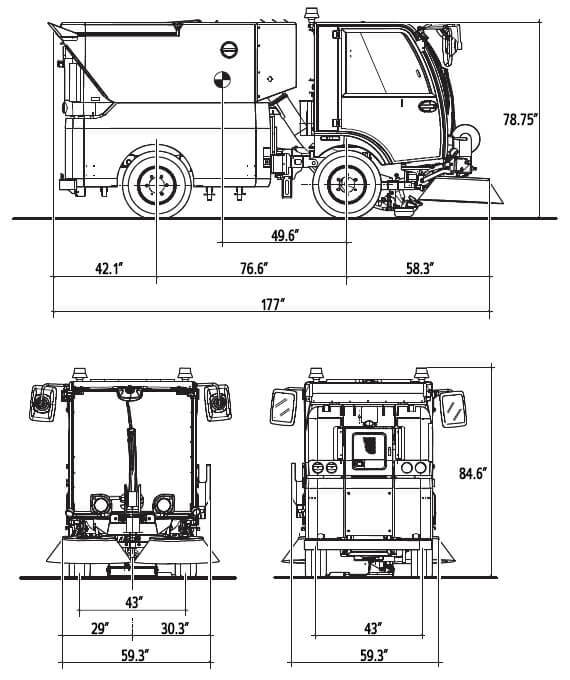 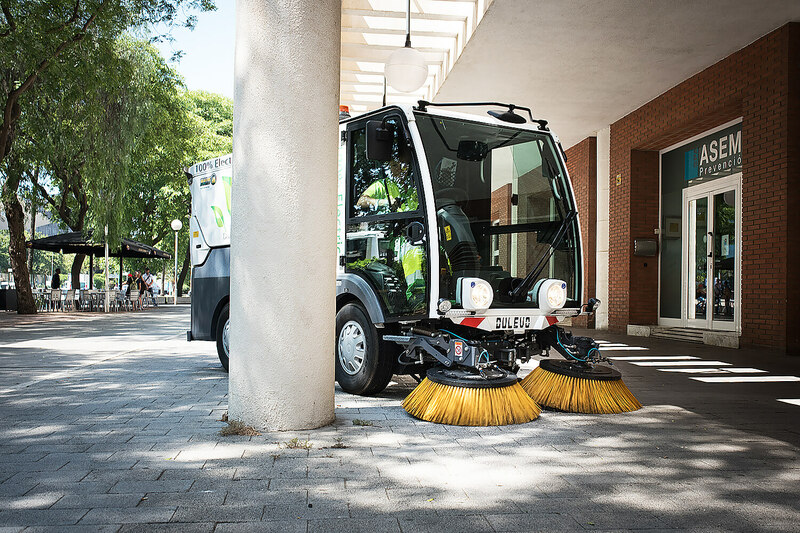 Its size and maneuverability allow this articulated street sweeper to work in town centers, green, and crowded areas, perfectly reaching even the smallest, narrowest spaces. 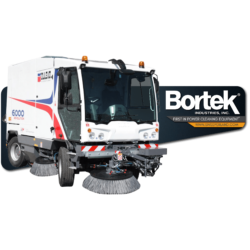 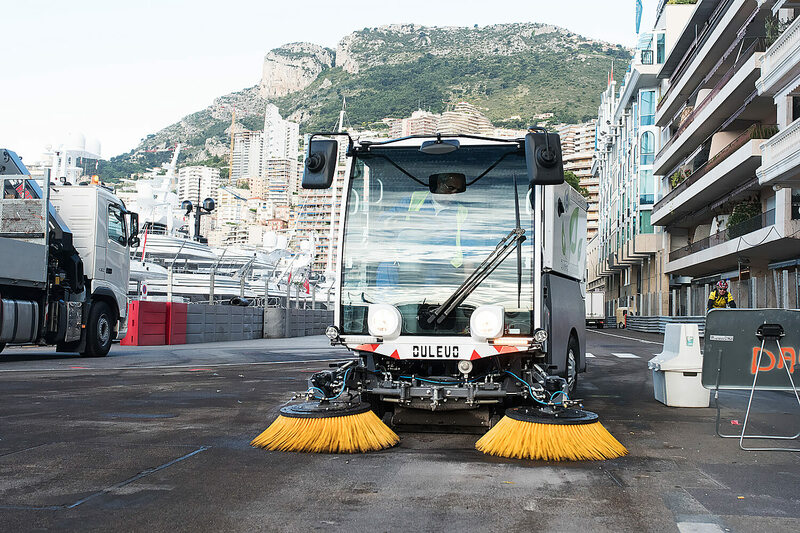 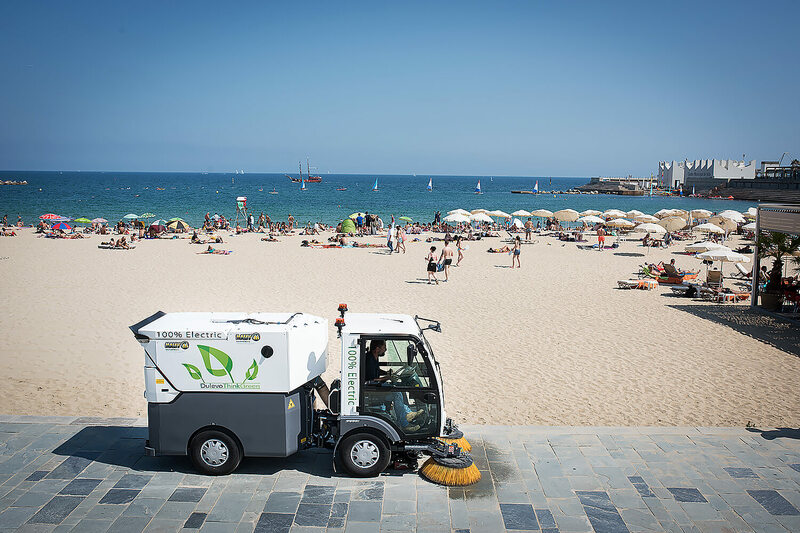 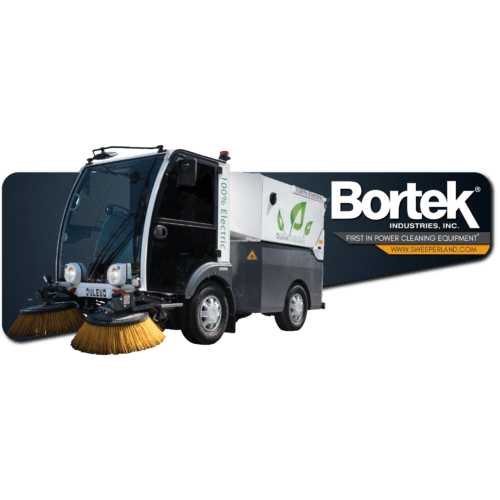 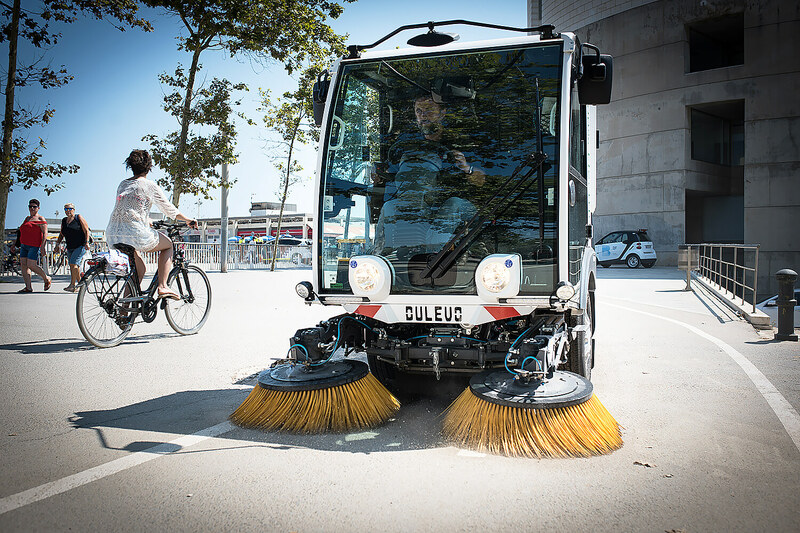 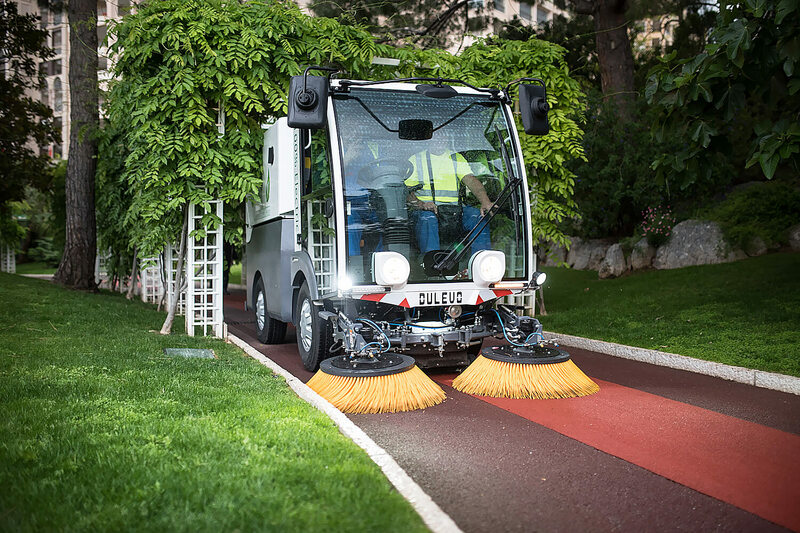 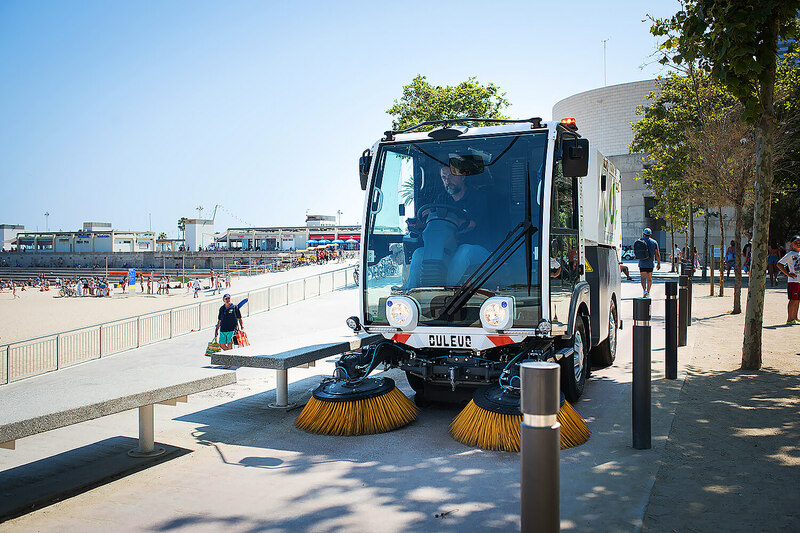 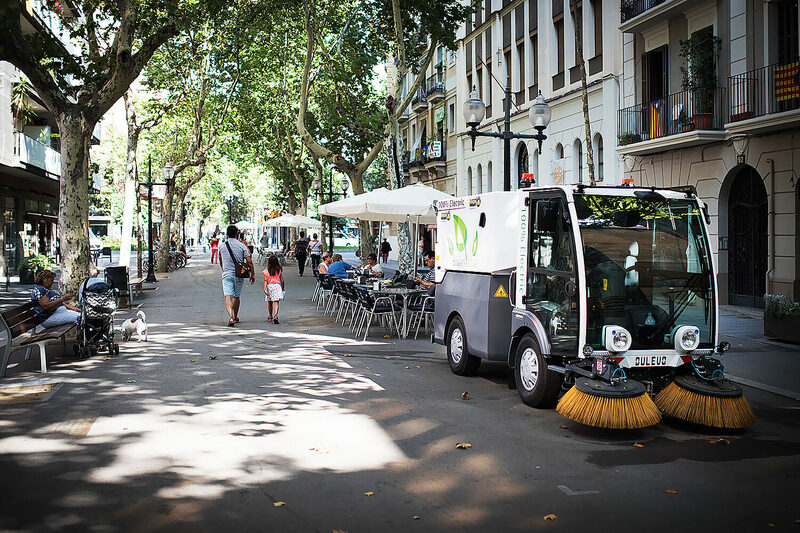 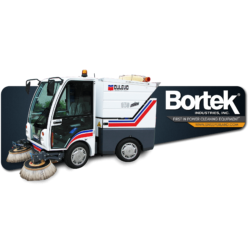 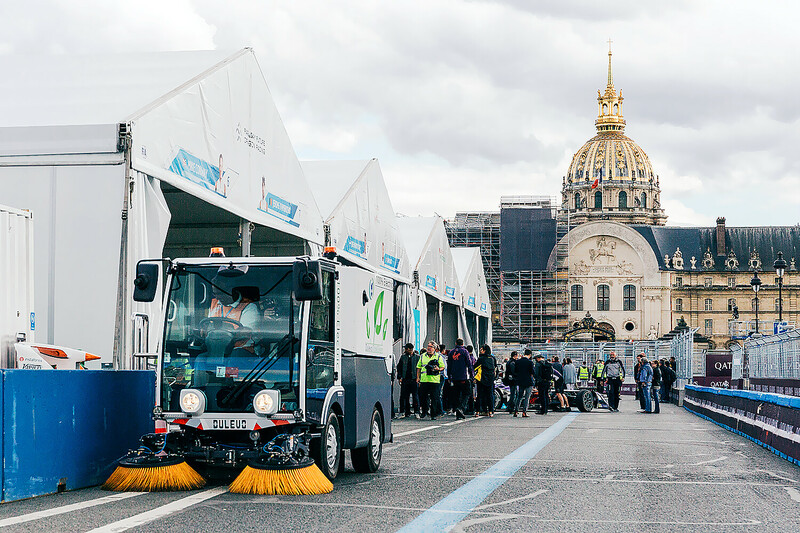 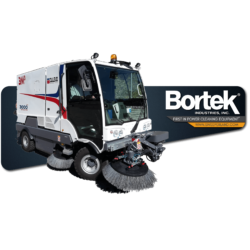 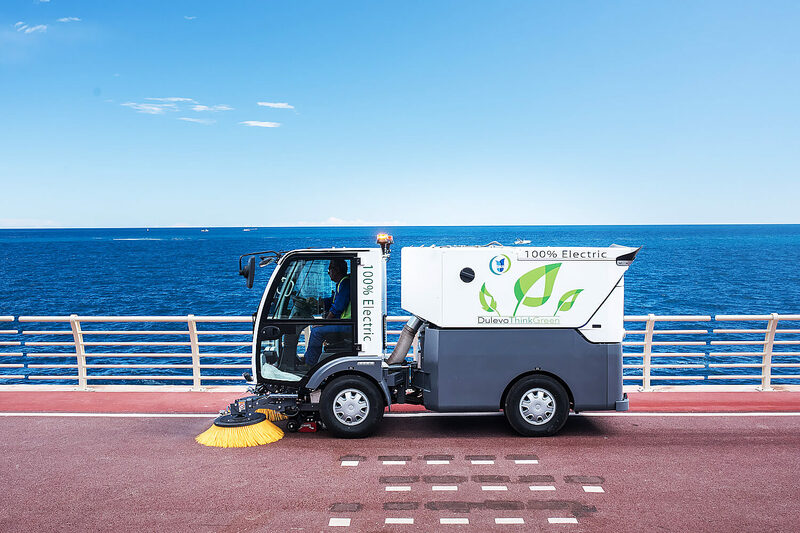 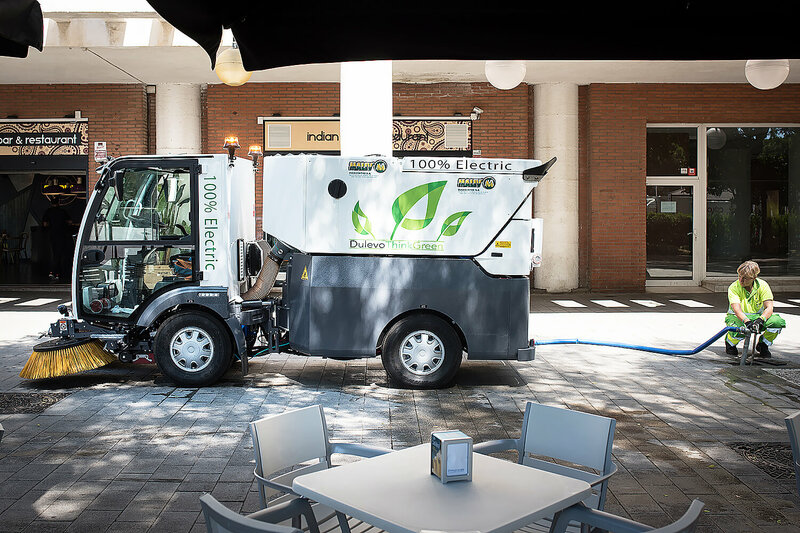 Besides providing the sweeping performance of traditional street sweepers, its 100% electric operation results in massive reductions in maintenance and power costs. 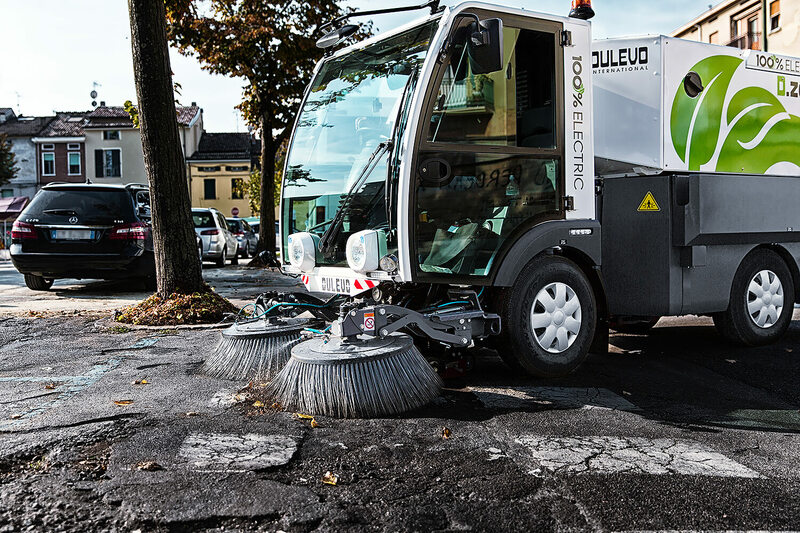 The ongoing Dulevo attention for work quality and the safety of operators is well represented by the Dulevo D.zero²: it utilizes low voltage technology to reduce electrical equipment risks down to zero.